Pyjama Top 100% Cotton. 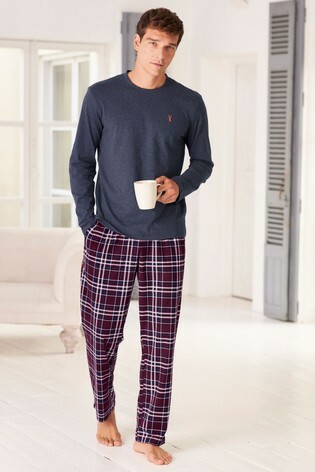 Pyjama Bottom 100% Polyester. Our sheepskin mules redefine comfort, adding a premium touch to your loungewear. Designed with a supersoft faux-fur lining, and with a memory foam footbed for comfort underfoot. In multiple colours. Upper - Leather, Lining & Sock - Leather, Sole - Other Materials, Textile.